Truchard Vineyards is a family owned vineyard on the Old Sonoma Highway, just outside of Downtown Napa. Reservations are required and my appointment was at 1 pm on a warm and sunny Saturday afternoon. The first thing that I saw as I turned into the vineyard was a sign that read: “Slow Please Kitten Crossing”. 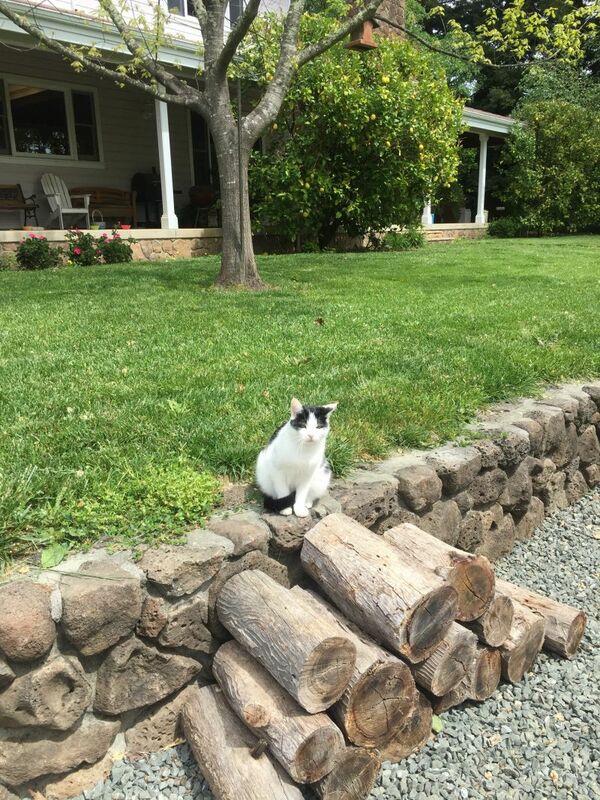 Vineyard dogs are a common sight, but this was the first time I have seen a winery cat advertised. 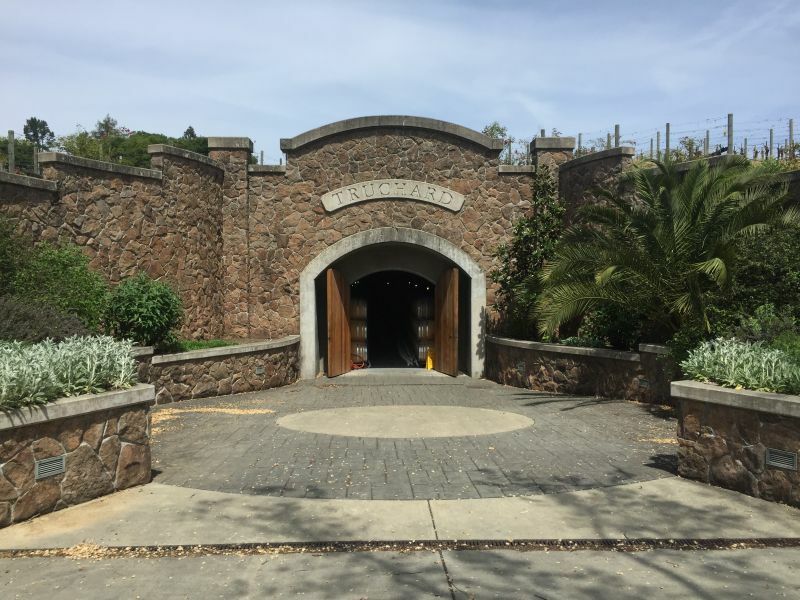 Truchard is the anthesis of those Napa wineries in which dozens of customers taste wine and have the opportunity to exchange just a few words with the host. I was the only guest and was able to talk at length as I tasted the wine and learned about the Truchard history. There was no fancy tasting room; we sat at a table in the garden of the family home. It was a location whose natural simplicity reflected the wine. Tony and Jo Ann Truchard purchased the first twenty-one acres of land in 1973 and planted grapes a year later. Tony was told that this Southern part of Napa was not suitable for growing grapes; the climate was too cool and proximity to San Pablo Bay made the ground water brackish. He did not listen; the success of Truchard and the many other vineyards in The Carneros region support his determination. The Truchard family now own four-hundred acres of land, with nearly three-hundred planted to vines. They grow twelve different varieties; going well beyond the Chardonnay and Pinot Noir with which Carneros is commonly associated. 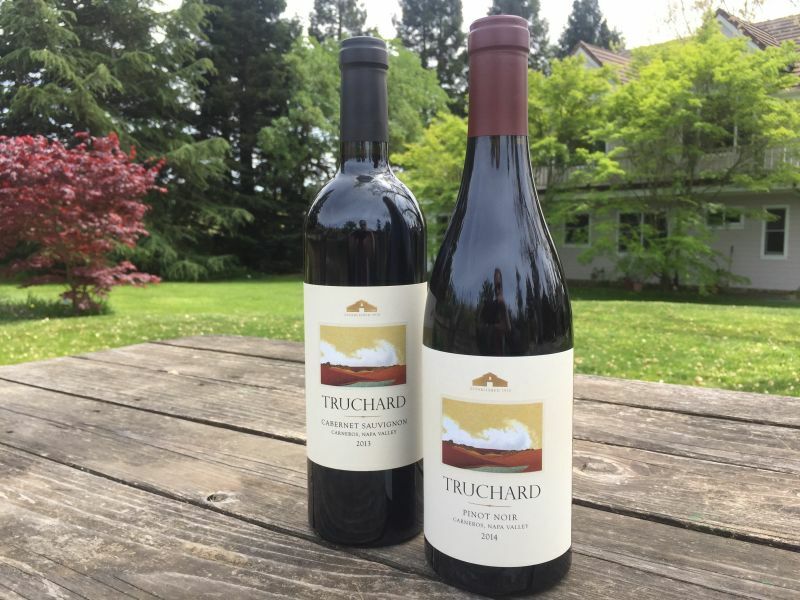 Until their first vintage in 1989 The Truchard family sold all of their grapes and even now they sell about 65% of what they grow. Tony Truchard was a doctor and for many years lived and worked in Reno. The family, with six children, would undertake the roughly two-hundred-mile drive to Napa so that they could work their vineyards. Tony and his wife now live on the vineyard and are still actively involved in running the business. One of their children, Anthony Truchard II, works as the General Manager. The first wine was the 2015 Chardonnay. It sells for $30. Thirty percent of the wine was matured in new French oak and underwent malolactic fermentation. The resulting wine offered a complex nose of vanilla, lemon, and apple. There was a crisp medium plus acidity that gave support to a mix of apple and pineapple. The use of oak was clearly intended to provide strength without overwhelming the fruit. The next wine was the 2014 Pinot Noir ($35). The classic nose was of cherry and damp loam. Taking a deep sip exposed a silky mouthfeel that wrapped flavours of sour cherry, tobacco, with a backing of black pepper. This was a classic example of Carneros Pinot Noir, although at a lower than typical price. The third wine was an unusual wine for Napa, let alone for Carneros. It was the 2012 Tempranillo ($35). Reflecting the manner in which the Spanish use this grape in Rioja, the wine had been aged 60% in new American oak, with the rest in neutral oak. The nose was complex; I identified vanilla and plum, but there were other aromas that alluded me. The mouthfeel was light, tasting like raspberries on crackers. Truchard has just an acre and a half of Tempranillo vines. Next up was the 2015 Syrah, which sells for $30. It was surprising to see a red wine being served so young. The nose was of deep plum and leather. High acidity in the mouth was backed up by a complex mix of plum, raspberry, and pepper. Bold tannins linger in a pleasing finish. Drinkable now, but I am convinced that more age is needed from this Syrah. The last wine was the 2013 Cabernet Sauvignon, which is priced at $40. It is a mix of 88% Cabernet Sauvignon, 10% Cabernet Franc, 1% Petit Verdot, and 1% Malbec. Bar the absence of Merlot this is a classic Bourdeaux blend. The cool Carneros climate makes the wine feel more European than a traditional Napa Cab. The aroma was rich with plum and baking spices. The mouthfeel was velvety smooth and light. The taste was not heavy with fruit, but raspberry notes entwined with espresso against a background of light tannins. 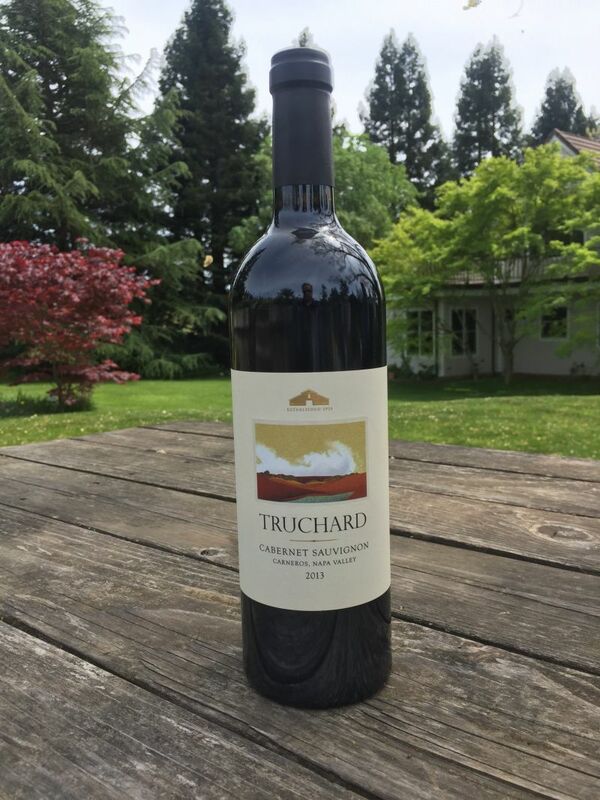 Truchard offers two other Cabernet Sauvignon; a $65 Cave Block and a $95 Reserve. Tasting at Truchard was a thoroughly enjoyable experience. I was occasionally distracted as various young goats and cats played around the garden. At one point, a cat faced down the young kid whose picture is above. 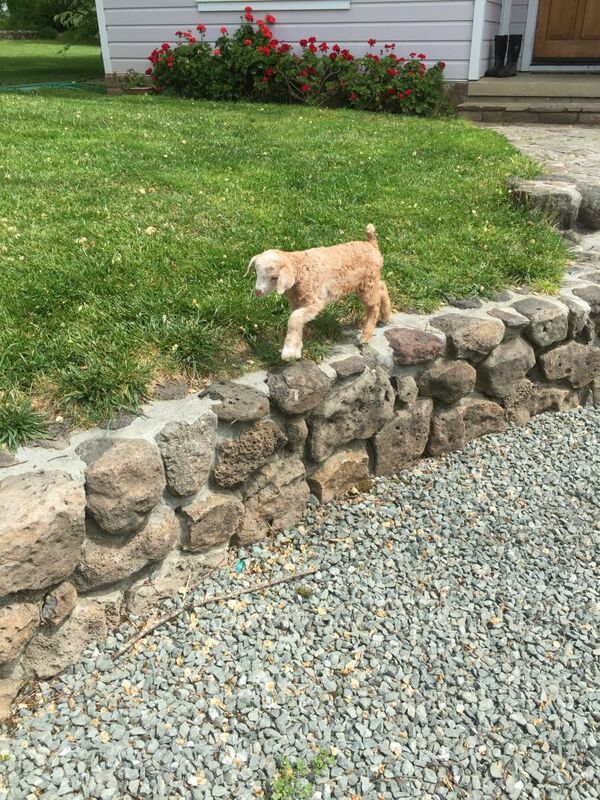 The goats had originally been acquired to keep the grass down, but now are kept as pets. All of the wines had distinct acidity and are lighter in body than is the case for most wine from Napa. 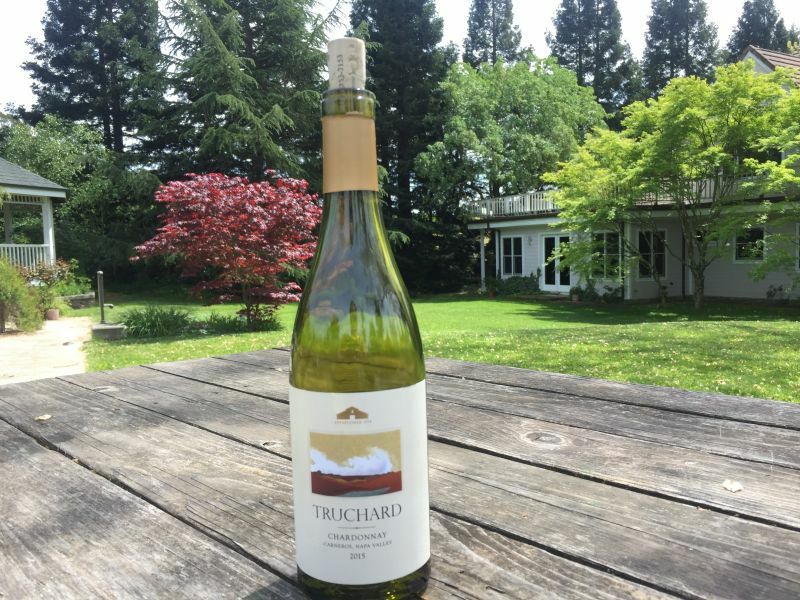 If you want wines and an experience that is far from the Valley norm, then I suggest Truchard is worth a try.